Natural resources include things such as precious metals, rare earth metals, base metals, industrial minerals, gemstones and construction materials (aggregate, sand, clay, limestone). These materials are found in various types, proportions and qualities across the globe. The natural resources of a country can contribute significantly to its economic development through increasing production and manufacturing, securing energy supply, increasing export revenues and reducing costs for local businesses and households. The extraction of natural resources can be done on a number of scales. Large scale mining is heavily mechanised, productive and normally involves a large global consultancy or mining company. Small-scale mining is done by local people, working with limited tools, in difficult conditions and low productivity. Artisinal mining or subsistence mining is done by individuals - panning gold, generating aggregate etc. It is often done in poor conditions, and can be illegal. DFID and the World Bank are involved in a "Collaborative group on Artisanal and Small-Scale Mining (CASM)" that work to reduce poverty through improving the environmental, social and economic performance of artisinal and small scale mining in developing countries. Geologists have a crucial role in locating, extracting, processing and protecting the natural resources that our economies and lifestyles are reliant on. Locating: Geologists use a wide range of techniques to identify economic reserves of minerals. These techniques can include a desk-based review of the geology (predicting possible reserves), geological mapping of surface outcrops, correlation of borehole logs, geophysical techniques, geochemical analysis and remote sensing. 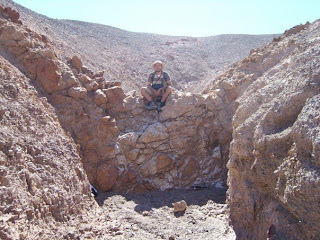 Extracting: Geologists work on extracting the mineral through effective planning. 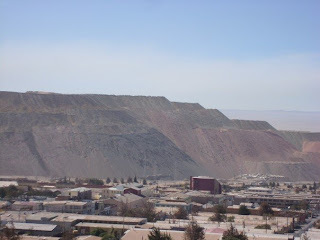 Mining and engineering geologists use their skills in rock mechanics, tunneling and slope stability in order to design opencast and deep mines. Hydrogeologists work to ensure mine waste and materials don't contaminate local water supplies. Processing: Many materials are extracted in an impure state and need further processing. geologists can be involved in the analysis of material, determination of its quality and the extraction of further materials to be used in the processing of the material. Protection: Geologists must play a crucial role in ensuring that the extraction of natural resources is done in a safe and sustainable way. Geologists must ensure that groundwater and soils are protected from contamination, employees are working in a safe environment (not at risk of mine collapse, poisonous gases etc) and resources are being used in a sustainable manner. Natural resources are finite, and thus will run out. Geologists also have a role in protecting the development of the wider community, through standing against corruption at all levels. Those extracting the minerals normally pay fees/royalties to the host country government, a valuable source of income that could be reinvested into education, health care, water and sanitation, and infrastructure. Corruption, however, means that sometimes this money ends up in private bank accounts. An open and accountable attitude within the sector would do a lot to improve this state of affairs. If mining companies, for example, declare the fees they pay to the government - local people can hold them to account to make sure they are getting the best deal, and are investing the money wisely.